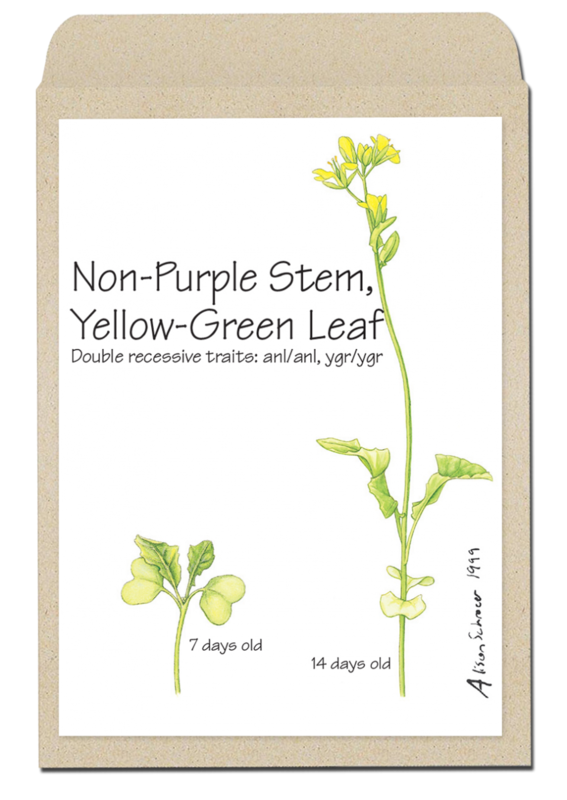 The Non-Purple Stem, Yellow-Green Leaf variety of Wisconsin Fast Plants® is homozygous for two recessive genes: non-purple stem (anthocyaninless, anl) and yellow-green leaf (ygr). 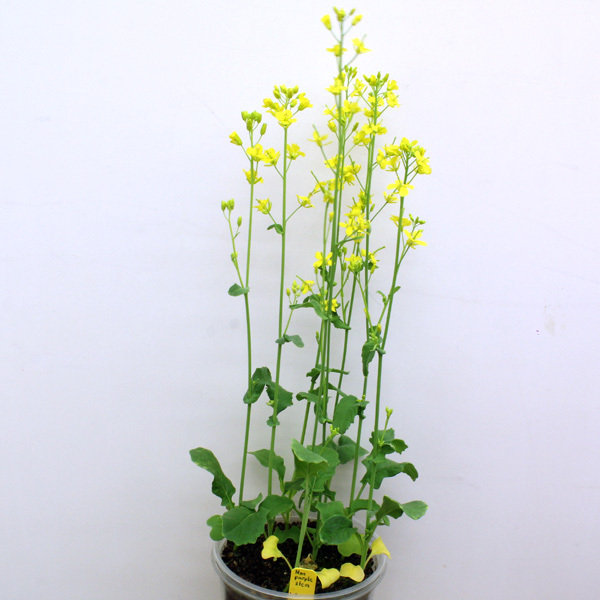 Plants of this variety do not express the purple pigment, anthocyanin, and appear a pale yellow green when compared to other Fast Plants varieties. 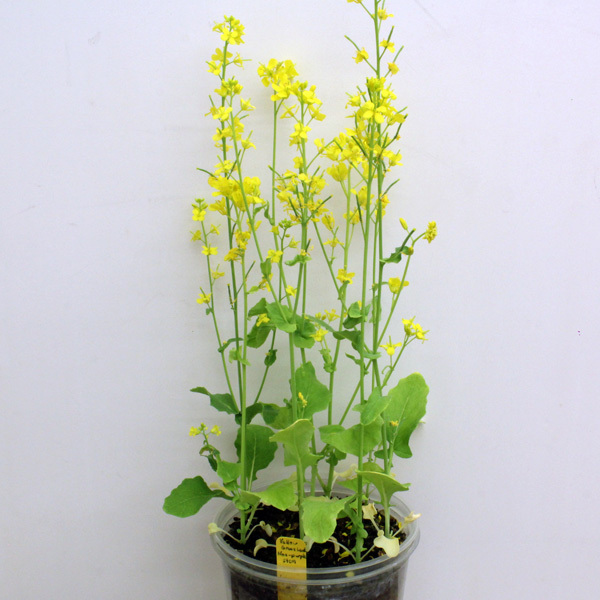 The Non-Purple Stem, Yellow-Green Leaf variety also produces less chlorophyll than the Standard variety of Wisconsin Fast Plants, and their developmental time is slightly delayed (approximately 15-17 days to flower). 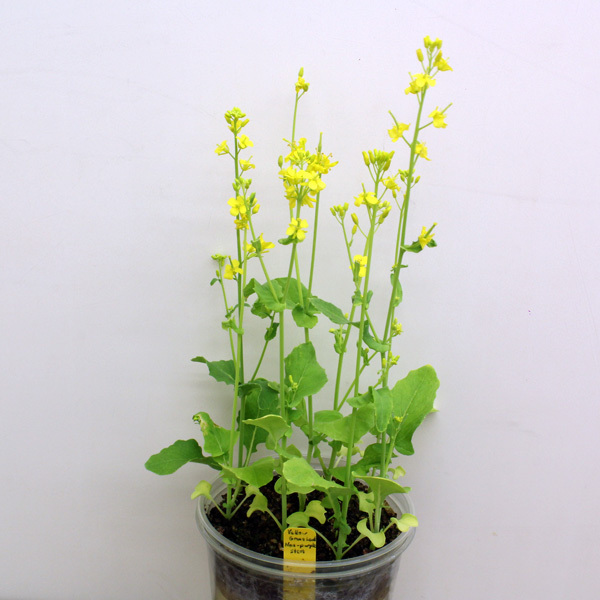 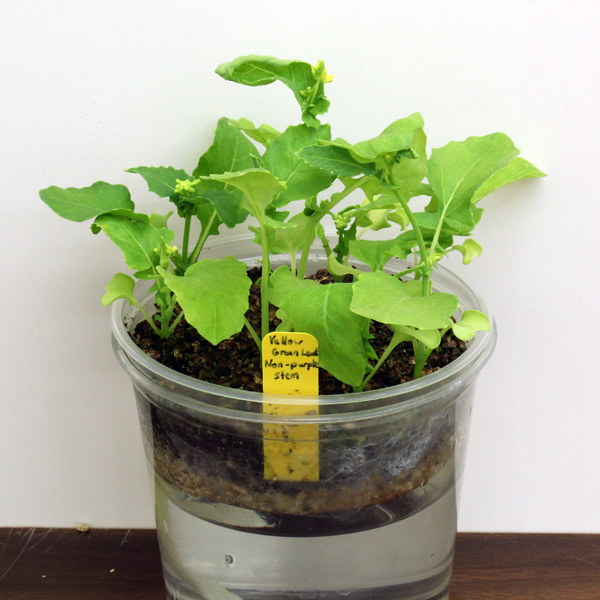 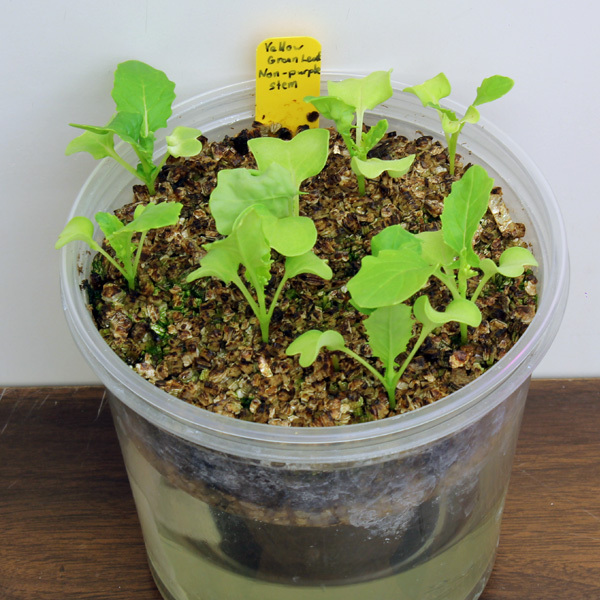 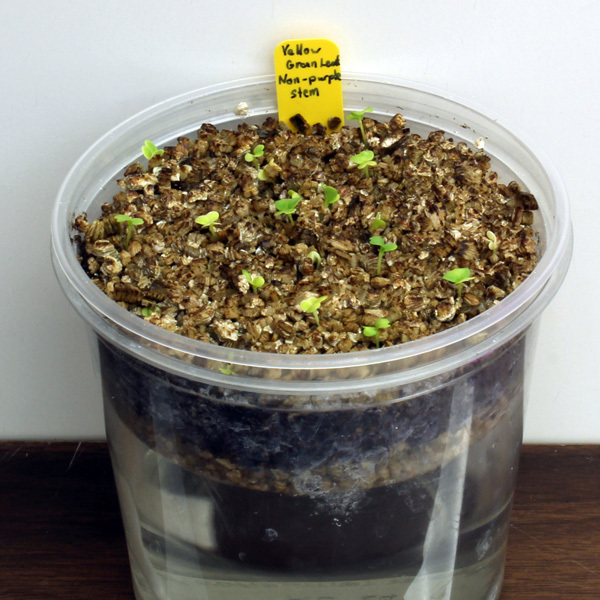 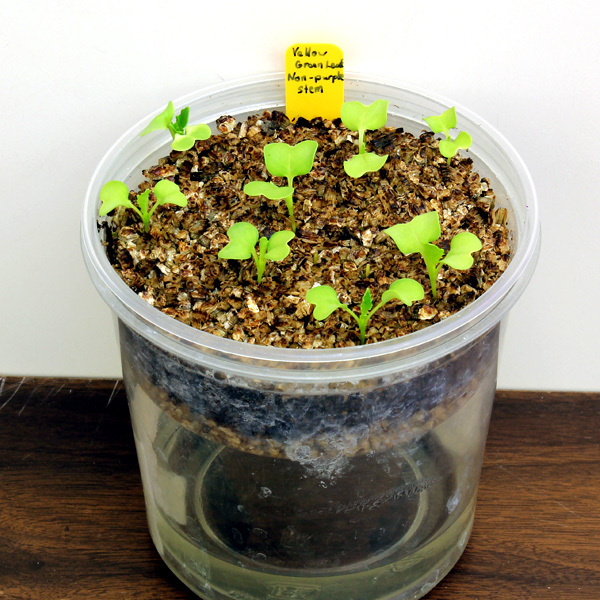 The Yellow-Green Leaf phenotype is only recognizable when plants are grown in soil, and it can be easiest to recognize when plants are 5-7 days old. Genetics: Inheritance studies (crossed with the Purple Stem variety and/or the Standard (green) variety.